The midfielder has struggled to break into the Pirates starting lineup. Makudubela joined the Buccaneers at the end of last season following his good display of talent for Golden Arrows, where he was on loan from Platinum Stars. The 26-year-old midfielder, however, has found it difficult to break into the Pirates starting lineup. Now a source close to Pirates told Phakaaathi that Makudubela would be sent on loan to City for him to get regular game time. 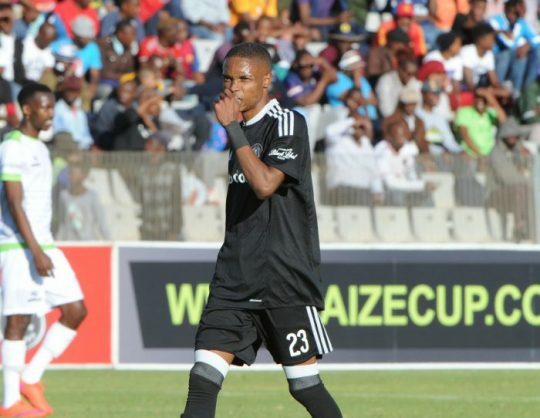 “Mahlatse has been working very hard to try and break into the team, but Thabo Rakhale and Thabo Qalinge are making it hard for him to get into the starting lineup. Pirates now want to send him on loan to Polokwane City in order for him to get game time,” said the source. Still with City, word is that the club is set to release Patrick Ngidi and Rendani Ndou either in January or at the end of the season. The duo is said to be not in coach Luc Eymael’s plans. “Ngidi has been told to train with the reserves. As for Ndou, he is also not in the coach plans for this season,” a source close to City told Phakaaathi.